So what is a “dome master”? Most planetarians like to consider themselves masters of the dome, but that’s not what we’re talking about here. This is a dome master! Frames for full dome movies are square with a circular image inscribed within it, this is called a dome master. When looking at a dome master on a flat screen it looks like a distorted spherical image, but when projected upward onto the dome the image produces an accurate immersive effect for the viewer. How do you make a dome master? Unfortunately it isn’t really as simple as taking footage or images intended for a normal flat screen and running them through some software to make them immersive. You need to capture the footage differently using special camera lenses. The super fisheye lens captures the 180 degree perspective necessary to get enough picture to fill the dome. 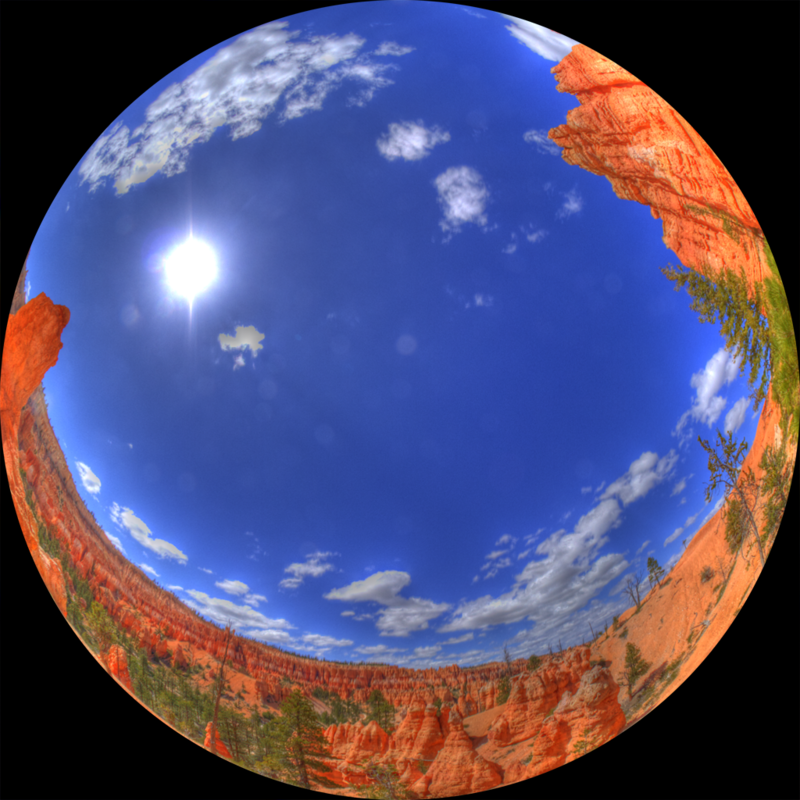 Many inexpensive cameras can capture high resolution still images, like Bryce Canyon image above. However, those megapixels aren’t put to use in video capture mode. The maximum video resolution for most digital cameras and DSLRs is a 1920 x 1080 rectangle (perfect for your HD TV at home!). 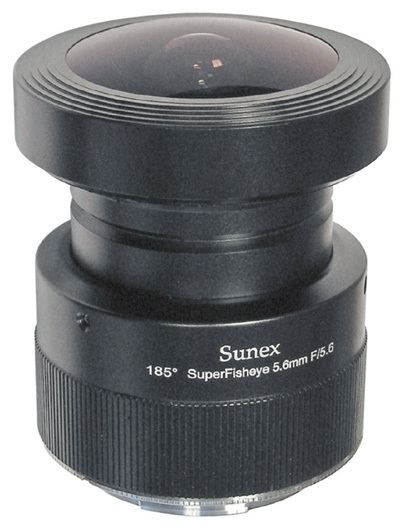 Remembering back to previous articles, the fisheye lens produces a spherical image inside the camera’s sensor frame. So when capturing a video with a DSLR and fisheye lens you get a maximum of a 1,000 x 1,000 pixel dome master video. Which isn’t nearly enough! Red Epic pixels are expensive, look at all the wasted pixels on either side! Luckily this was shot with a much less expensive Canon 7D! So, let’s put one a fisheye on a Red Epic and start filming! Again, hold your horses… The frame captured by a 4k movie camera is not a square image either, its approximately 4,000 pixels wide by 2,000 pixels tall (just what you need for a regular movie theater). Slap a fisheye lens on there and you get a large black rectangle, with circle in the middle of it. Planetarium producers only care about the height of the frame, that is the maximum for how big our dome master will be. So a 4k movie camera that costs $100,000+ will only yield a 2k dome master, and the resolution to either side is thrown away. Bummer! This has been the main reason that full dome movies up until now have been mainly composed of computer animation. That and of course we don’t have a lot of live footage of outer space. In recent years full dome movies have moved beyond just astronomy topics. There are biology shows, chemistry shows, history shows, and entertainment shows featuring roller coasters in outer space. Computer animation has been the solution for planetarium producers for how to get that true 4k by 4k dome master at whatever frame rate they want. When producing CGI content, an animator essentially creates a virtual movie set. With virtual objects, virtual lights, even a virtual camera. The animator assigns textures to the objects, and makes them move. When the scene is finished, the animator picks the resolution that they want, then the scene is rendered. This means, that the computer creates each individual frame of the animation. One frame at a time, the computer calculates how the scene should look based on the lighting and texturing of the scene as seen from the point of view of the virtual camera. Those frames are then assembled into a movie. An unrendered scene. Virtual Dome Camera is circled. “+” signs represent steam and ice particles that will be generated during rendering. 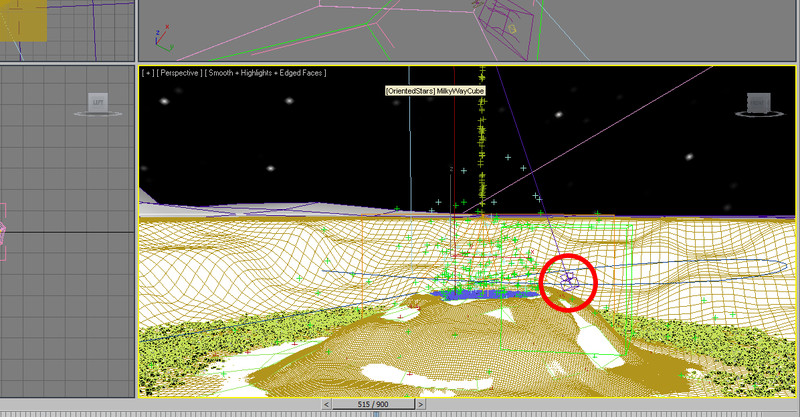 When producing for the dome, the animator uses a virtual camera that has a virtual super fisheye lens on it. In fact this virtual camera can capture beyond the 180 degree field of view, difficult to do with a real camera. 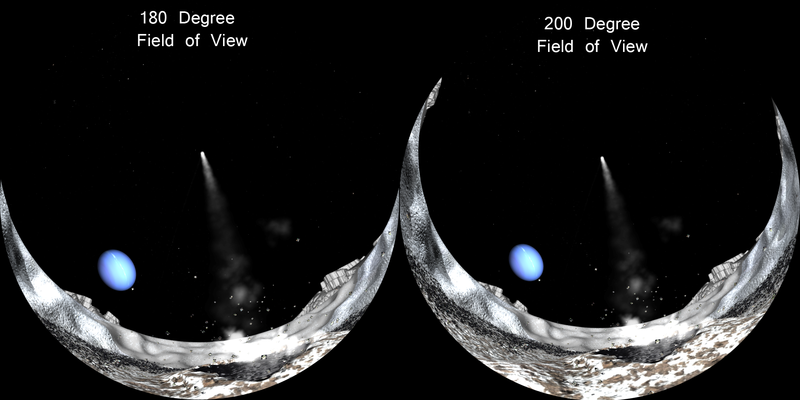 Many full dome animators use a field of view of 200 degrees or more. This captures more of the scene, giving the viewer an even more realistic experience. At render time, the animator chooses an output resolution of 4,000 x 4,000 and renders out dome master frames, that will later be assembled into a movie. You see more of the scene with a wider field of view! The experience becomes that much more immersive for the viewer. So is the sky the limit here? Not really. Come back next time to learn about how rendering actually works, and the time required to produce a 4k animation. Welcome back to the Full Dome Saga. For those of you just checking in, last week’s article can be found here Part 1. So what is a 4k production? It’s a full dome movie that takes four Kyras to produce it, a 4K production….. Jokes aside… 4k is short for 4,000 pixels. The movement here is not smooth. Movies everywhere are made up of individual images called frames, played back at high speeds to simulate motion. The higher the frame rate, the smoother the motion and the higher perception of realism. Low frame rates cause motion to appear jerky and the picture to flicker. Think back on early films from the 1930s and 1940s, or funny internet GIFs of today. When we go to a movie theater and they advertise that they are a 4k cinema, what they really mean is that their movie is 4,000 pixels wide and 2,000 pixels tall (roughly) because movies are rectangular (your HD tv at home is 1920×1080 pixels). So each frame is approximately 4,000 pixels across and 2,000 pixels tall. 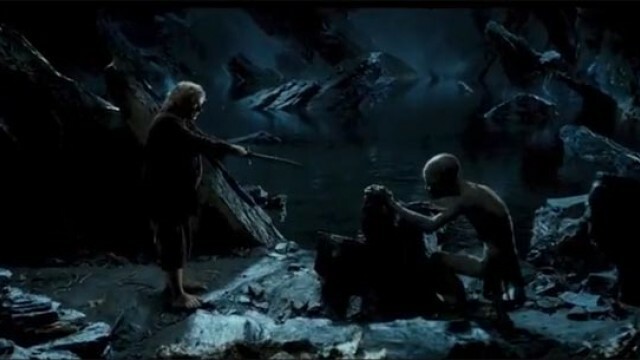 Back away Smeagol, you look to realistic at this frame rate!! Generally, movie theaters run at 24 frames per second. Peter Jackson made headlines when he offered The Hobbit at 48 frames per second (gasp!). Many still argue that high frame rates for live action films on flat screens produce too much realism for the audience to enjoy. Personally I enjoyed they hyper realism of The Hobbit at 48 fps, but that’s just me. Movies like The Hobbit push the envelope for current technology. Capturing live action at high resolutions and high frame rates (then double this for two cameras if you’re making a 3D movie), require sophisticated and expensive camera equipment. The Red Epic (used to film The Hobbit and other recent blockbusters) is advertised as a 4k camera. I am often asked, why don’t you planetarians use that to get 4k live action footage for your dome? Not so fast son…. Here in the planetarium things are a bit different. Rather than a rectangular screen in front of you, there is a hemispherical screen that surrounds you. The movie is in front of you, next to you, above you, and behind you. 4k in the planetarium world means each frame is 4,000 by 4,000 pixels (a square rather than a rectangle) twice the number of pixels per frame. “To Space and Back” produced by Sky Skan. 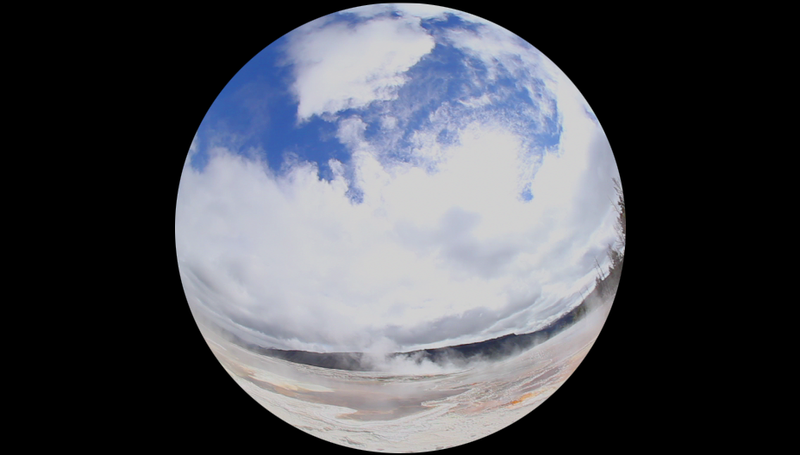 This full dome movie is available in 8k, 60 frames per second, and 3D! Many digital planetaria run full dome movies at 30 frames per second, but producers are beginning to push the envelope. If you thought The Hobbit at 48fps was crazy, some digital planetaria offer full dome movies at 60 fps. The high frame rate applied to CG graphics creates that extra degree of smoothness and realism in the motion of objects on the dome. Stay tuned, as we have been dabbling in this a bit ourselves here at LASM! The planetarium dome is a larger surface that surrounds the audience, unlike a traditional movie screen. Therefore motion is amplified on a dome screen. For this reason planetarium shows are edited with longer cuts than traditional movies and TV content, camera movement is slower, and objects move slower. Movement that is fast and somewhat jerky on a flat screen will look even more so on a domed screen. High frame rate smoothes the motion, resulting in a more realistic experience. Why are most full dome movies CGI you ask? Come back next week for The Full Dome Saga PT3 where we will investigate the ins and outs of Live Action vs CGI production for the dome…..
Hello Readers, you are about to embark on a journey through the world of planetarium technology and production. Every Friday for the next few weeks we will explore all things digital planetarium. The first part of the Full Dome Saga is a brief background on the technological evolution from the traditional planetarium to the digital dome of today. In later posts we will compare production techniques and equipment used for Hollywood movies to that used for planetarium production, animation and rendering techniques, live action capture, and more. 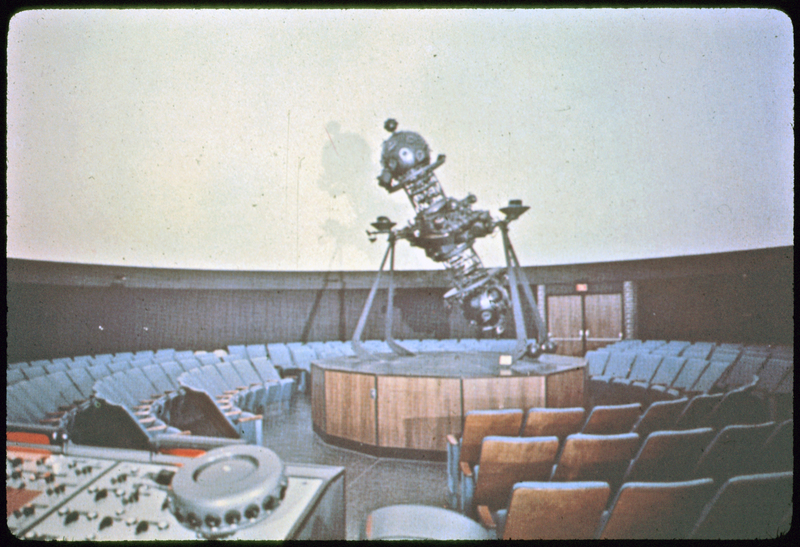 When many people think planetarium, they imagine a dark, domed room with a strange machine in the center. They imagine a mystifying experience where a presenter takes them on a tour of the stars and constellations in our sky. In the last ten years, the digital revolution has taken the planetarium on an interesting journey (which is far from over). 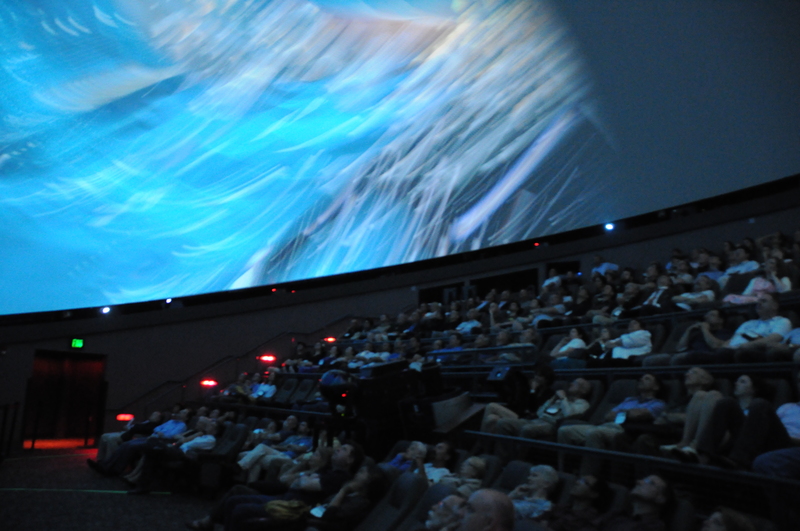 With advances in digital projection systems, software and computers, planetaria are transforming into immersive theaters. Using anywhere between one and thirty projectors, a bank of synchronized computers, and sophisticated software, planetaria are pushing the boundaries of possibility for both education and entertainment. Here at LASM the Irene W. Pennington Planetarium houses a 4k digital projection system made by a company called Sky Skan. Our image on the dome is created by two projectors (one at the front and the other at the back of the dome). There are four computers sending visual information to each projector, and one computer that stores the surround sound (see picture at left). All of the computers are controlled by a main master computer and a software called Digital Sky and SPICE. In order for everything to run seamlessly (no pun intended) all computers must run simultaneously with no lagging. Why are there so many pieces? Projecting a 4k video at a normal frame rate requires multiple computers to share the job, each one takes a small piece of the video to send to the projector (allowing everything to run quickly and smoothly). Current projector technology makes it difficult and expensive to cover a large 60-foot dome with a high quality image using a single projector, so we use two. Other planetaria use four, six or more to accomplish this task.